BG-Counter – The BG-Counter is an automatic counting device for mosquito monitoring. remote monitoring station for mosquitoes. 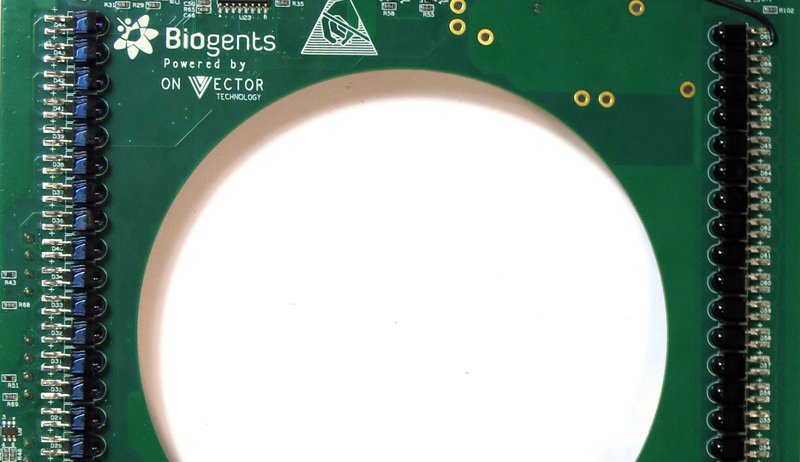 Biogents offers the first commercially available remote monitoring device for mosquitoes, the BG-Counter. 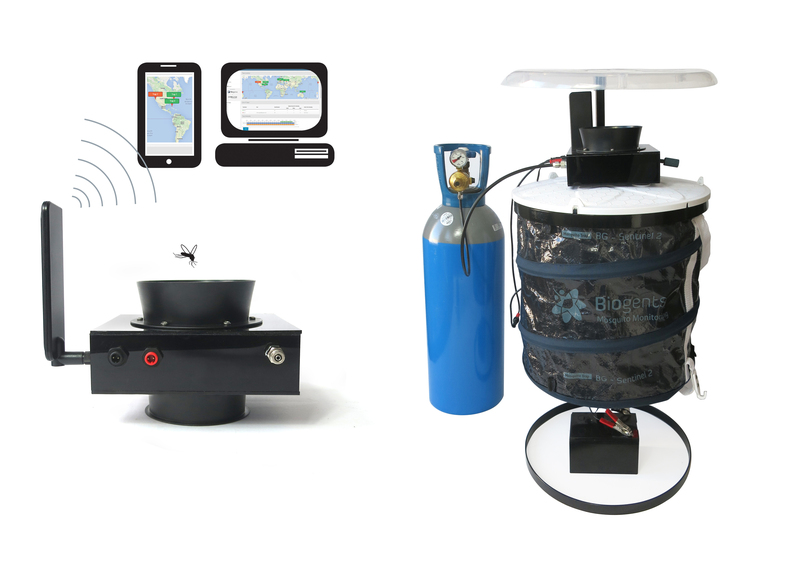 The device is combined with the BG-Sentinel mosquito trap from Biogents, a trap widely used by professionals for the monitoring and surveillance of mosquitoes. The BG-Counter automatically differentiates mosquitoes from other insects entering the trap, counts them, and wirelessly transmits the results to a cloud server. Via an web application you can manage your mosquito traps and get new insights into daily activity patterns, adult density indices, population dynamics and effectiveness of your control activities. The BG-Counter enables real-time measurements as well as prediction models and historical analysis of infested areas. Vector control professionals can now establish surveillance programs with unprecedented data density and accuracy, overcoming labour constraints associated with manual inspection. reduces costs associated with manually checking mosquito traps. Left: BG-Counter station with BG-Sentinel 2 trap, CO2 source, battery and shelter. The station runs on solar power (the solar panel is not displayed here). Right: Data are transferred to a web page that can be accessed via PC, smartphone or tablet. 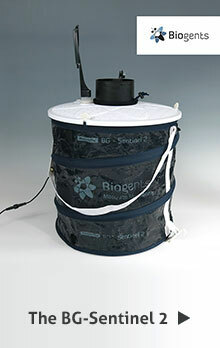 The BG-Counter counts mosquitoes while they are sucked into the BG-Sentinel trap and differentiates them from other insects or dust particles. Mosquito counts with an accuracy of 90% have been established in field tests when working with CO2 as an attractant. Up to 5 mosquitoes per second can be recorded. The data can be accessed by a web application and alerts are retrieved in real-time. The BG-Counter can also sample local environmental data such as temperature, humidity and light. The effectiveness of control measures can be validated immediately. A web application allows you to remotely switch the traps on and off in the field. It also allows you to set up varying time schedules to run the traps and set up application times of attractants. The BG-Counter minimizes maintenance effort: The trap runs on solar power and is self-sustaining. It is robust and well protected against weather. The BG-Counter system is supported by a web-based database for storage of mosquito counts, geospatial and environmental data. The data base is automatically updated with the data constantly generated in the field. 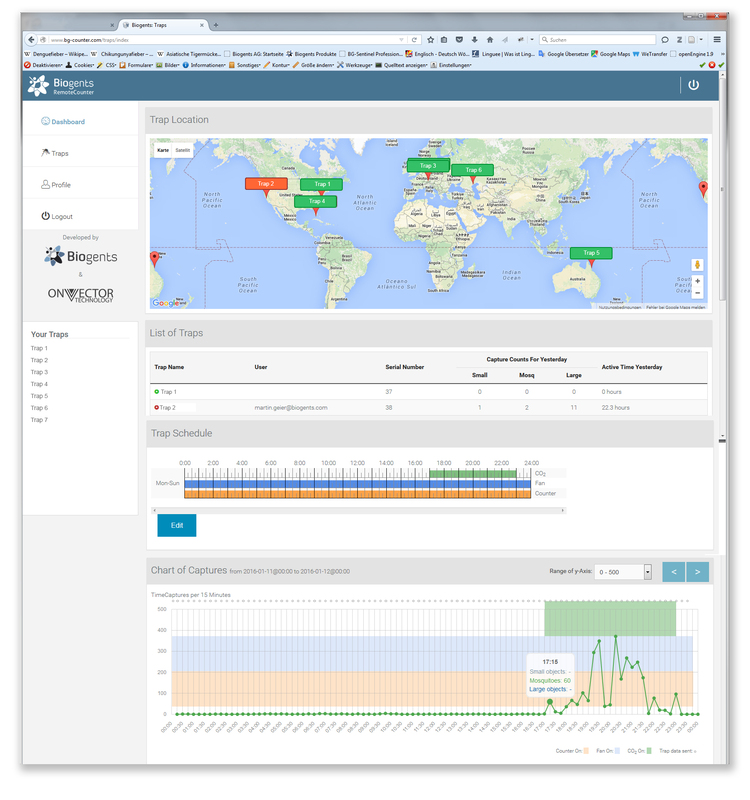 The data can be accessed, displayed and analyzed by the end user in a cloud-based dashboard. They can also be exported to Excel at the push of a button. The intuitive graphical user interface can be accessed from PCs as well as smart- phones and tablets. The image on the right side depicts a combination of several displays of the user interface. 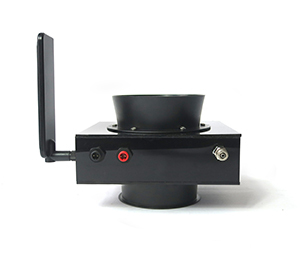 The patented insect sensor consists of arrays of infrared LEDs and light detectors that provide reliable and sensitive detection and differentiation of moquitoes from other objects entering the trap. Interested? For order inquiries, please contact Jennifer McCaw, Head of Sales and Customer Relations.